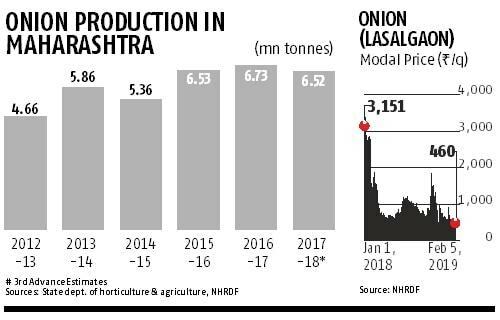 With onion prices hovering at near two-year lows, farmers across Maharashtra have been urging the state government to fix a minimum selling price of Rs 8.5 a kg of the bulb for the current season to make its future cultivation remunerative. Despite a very small quantity left over from the last season, stored onions are quoting at one or two rupees a kg. This has also pulled down prices of new variety rabi onions to Rs 6-7 a kg in the wholesale market. In the retail markets, fresh onion is sold between Rs 10-12 a kg in Mumbai. With the current realisation in the wholesale mandis of the new rabi variety, farmers have to sell at a loss of Rs 2-3 per kg, if transport cost is included. “Farmers are incurring losses consistently as the current price does not even fetch the cost of cultivation. Those with options to switch to other crops would certainly do so next season. But, most farmers in Nashik district of Maharashtra don't enjoy switch over options due to unfavourable climatic and soil conditions. Therefore, they would continue cultivating onions. 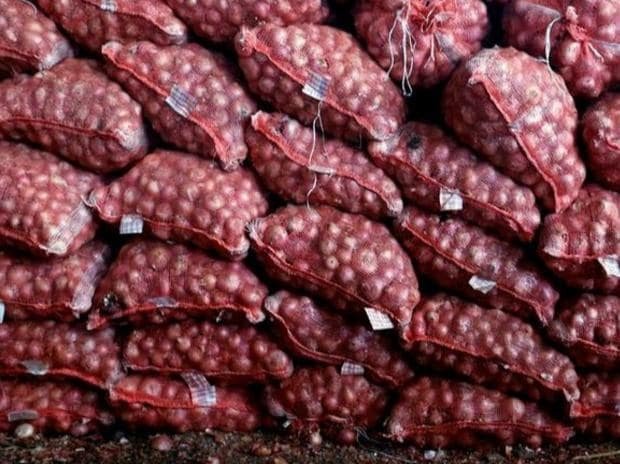 But, the Maharashtra government must protect their interests by fixing Rs 8.5 a kg as the minimum selling price (MSP) as derived in various reports from the state Agriculture Ministry,” said Jaydatta Sitaram Holkar, Chairman, Agricultural Produce Market Committee (APMC), Lasalgaon, Asia’s largest spot onion selling market yard. Instead of raising the MSP as done in sugar (Rs 29 a kg) and milk (Rs 25 a litre), the state government offered Rs 2 a kg subsidy for onions sold between November 1 and December 15, 2018. The subsidy, applicable for a maximum of 200 quintals, was later extended to December 31, 2018 at a total outlay of Rs 150 crore. Santosh Chavan, a farmer from the onion producing hub of Niphad near Nashik, plans to distribute his land holding to grow other crops such as pomegranate and grapes to improve cash flow. Diliprao Shankarrao Banker, Chairman of Pimpalgaon APMC, believes farmers need to receive at least Rs 1-2 per kg above the cost of cultivation for sustainable farming. “If onion prices do not move up then farmers’ losses would keep mounting and multiply their debt levels,” he added. Meanwhile, with few options left, farmers are planning to dump their old-season onion in the field to use the produce as fertilizer for the next season. The plight of Nashik farmers is significant, as the state contributes nearly 40 per cent of onion produced in India. Of this, Nashik shares 80 per cent. Overproduction is another issue that farmers are facing for the price fall. As per the Third Advanced Estimate, the government has estimated India’s total onion output at 22.07 million tonnes for the 2017-18 as compared to 21.82 million tonnes the previous year. Acreage, however, remained the same at 13.15 million ha for the 2017-18 and 2016-17 seasons.